FTP Server setup in Azure File server for copying files from on premise to Azure VM. Below are the setup file. Open Server Manger and click Add roles and features. From Installation Type tab select Role based or feature-based installation and click Next. 3. From Server Selection tab select the server on which you want to enable FTP and click Next. 4. 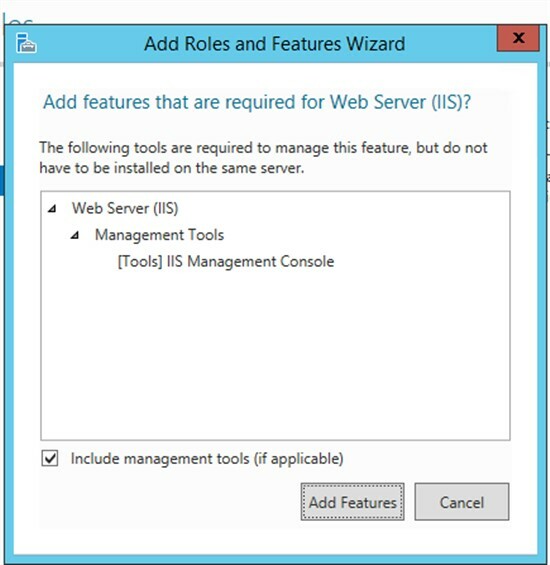 From Server Roles tab select Web Server (IIS), you will be presented with the Add Roles and Features Wizard.Click Web Server (IIS) and then click Add Features. Click Next on the Features and Web Server Role (IIS) tabs. 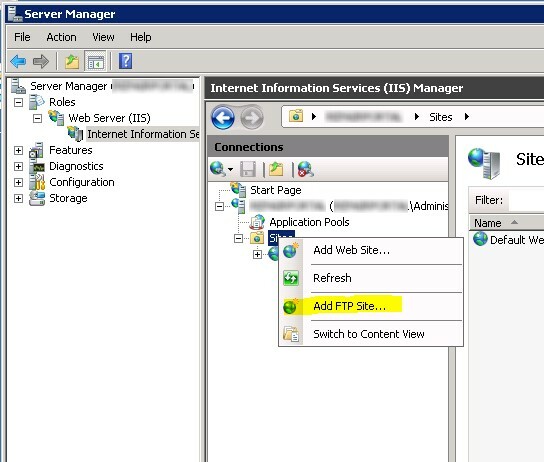 From Role Services tab select FTP Server and FTP Service and click Next. From Confirmation tab click Install and wait for the installation to complete. 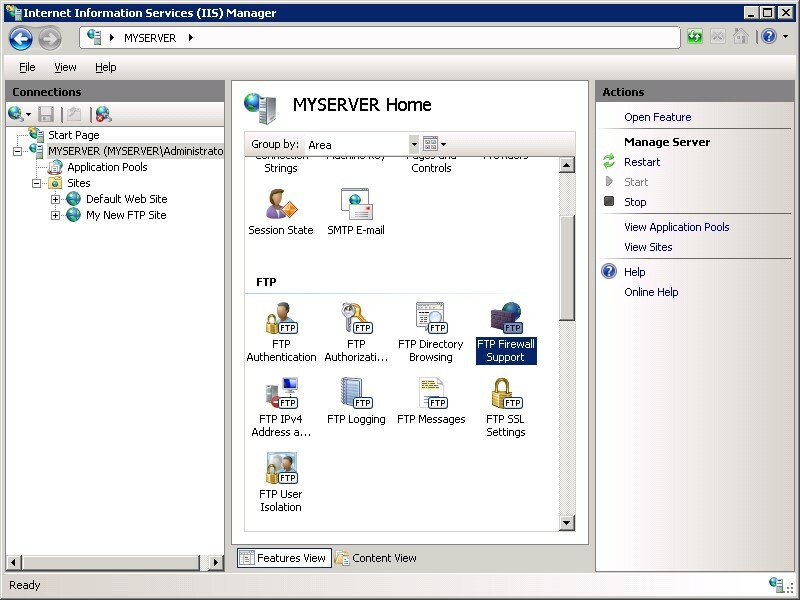 From the Control Panel> Administrative Tools open the IIS Manager. 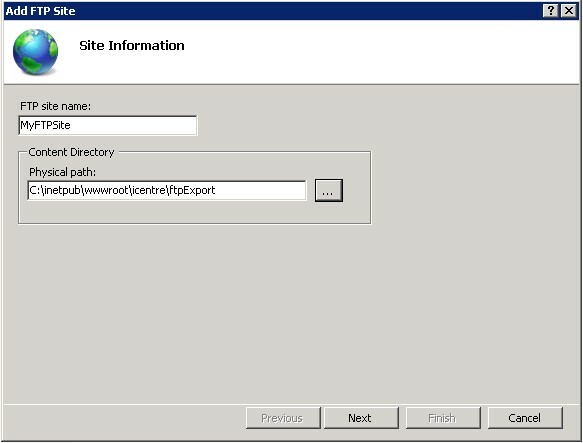 From IIS Manager, in the Connections pane, expand the Sites node in the tree, then right click the Default Web Site. Now click Add FTP Publishing. 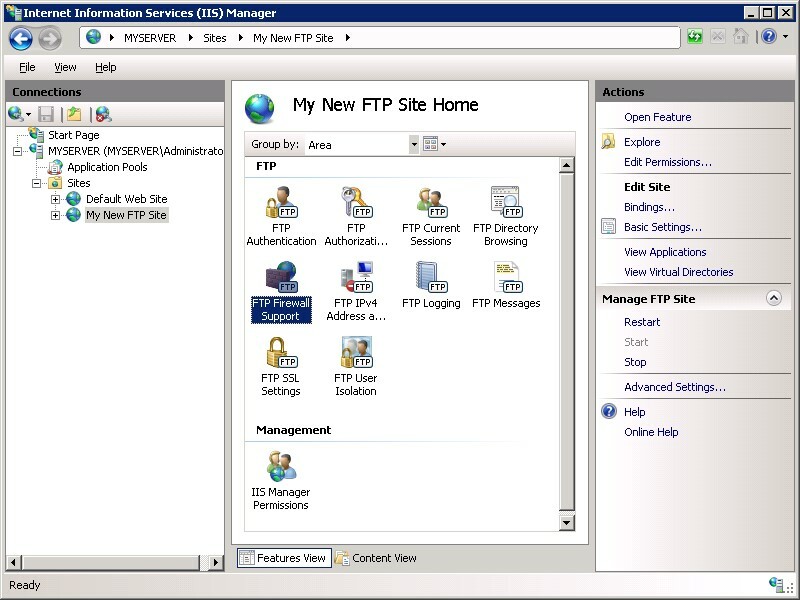 Fill the Add FTP Site dialog box as shown in the below figures and click Finish. If you do not want SSL you can select NO SSL. And finally specify who should have access to the FTP site. Note that I selected Basic Authentication and the all users..When you do not use SSL to secure access to the FTP site, your FTP credentials are sent in cleartext when logging in to the FTP site. If you do not want Anonymous authentication you can uncheck the anonymous authentication. You can enter a special port range of “0-0” to configure the FTP server to use the Windows TCP/IP dynamic port range. Click Apply. You will be prompted to configure the firewall to allow FTP access. To make sure that FTP server has taken all the setting we added, let’s stop and start the FTP service. Note: iisreset does not restart the FTP service as it is outside the IIS. 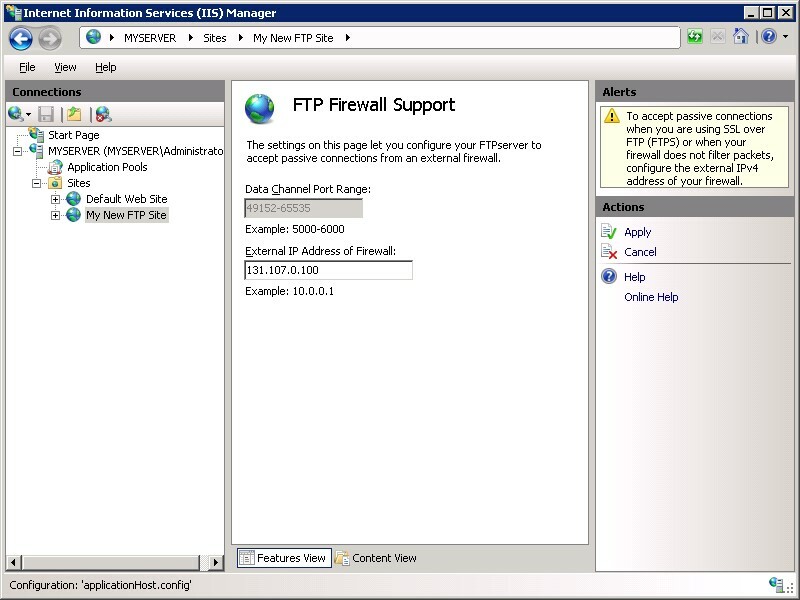 There are a few different configurations to consider when using the FTP service with the Windows Firewall – whether you will use active or passive FTP connections, and whether you will use unencrypted FTP or use FTP over SSL (FTPS). Each of these configurations are described below. Logging in to your server using the actual account named “Administrator”. Logging on using an account with administrator privileges and opening a command-prompt by right-clicking the Command Prompt menu item that is located in the Accessories menu for Windows programs and selecting “Run as administrator”. Note: While Windows Firewall can be configured using the Windows Firewall applet in the Windows Control Panel, that utility does not have the required features to enable all of the features for FTP. The Windows Firewall with Advanced Security utility that is located under Administrative Tools in the Windows Control Panel has all of the required features to enable the FTP features, but in the interests of simplicity this walkthrough will describe how to use the command-line Netsh.exe utility to configure the Windows Firewall. 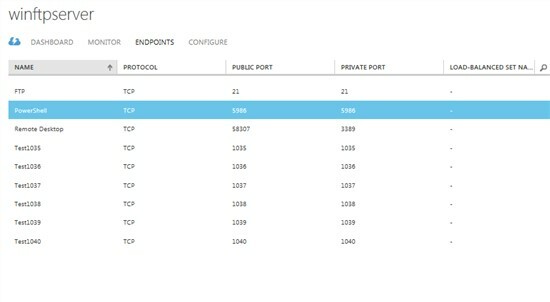 Ports 1035 to 1040 should also be added as endpoint to the Azure VM. You can add multiple ports as endpoint to the VM using Windows Azure PowerShell. Detailed procedure here. You can also add endpoints using the management portal. Detailed procedure here. To confirm that the said ports are added to the VM, please check the endpoint list on portal for the said VM. Note: You also would need add port 21 to the endpoint list which is command port for FTP connection. For ports added as endpoints in the above procedure, no configuration is done automatically to the firewall in the guest operating system. When you create an endpoint, you’ll need to configure the appropriate ports in the firewall to allow the traffic you intend to route through the endpoint. In this case I have disabled the Windows firewall for simplicity. You can refer here to modify the firewall rules to allow traffic on the ports added as end points. 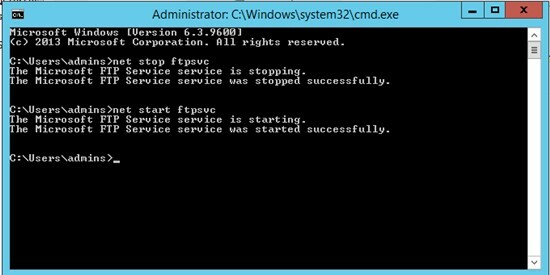 We are now done setting up the passive FTP Server on a Windows Azure VM. Client connects on the command port, which is usually TCP port 21. When the connection on command port is successful, the server sends a port to the client to connect to. If you are using FileZilla, you will see something like this: Command: PASV Response: 227 Entering Passive Mode (168,63,240,169,4,14). Where 168,63,240,169 is the IP address of the VM and 4,14 is the port on which the data traffic is routed (256*4+14=1038). This is how you determine that a port added in previous steps are actually being used to establish a passive FTP connection. When FTP is transferring large files, the elapsed time for transfer may exceed 4 minutes, especially if the VM size is A0. Any time the file transfer exceeds 4 minutes, the Azure SLB will time out the idle TCP/21 connection, which causes issues with cleanly finishing up the FTP transfer once all the data has been transferred. Basically, FTP uses TCP/21 to set everything up and begin the transfer of data. The transfer of data happens on another port. The TCP/21 connection goes idle for the duration of the transfer on the other port. When the transfer is complete, FTP tries to send data on the TCP/21 connection to finish up the transfer, but the SLB sends a TCP reset instead. The way around this is to make the client to keep the TCP/21 connection from going idle. If using a 3rd party FTP client, there may be configuration knobs the user can turn in order to cause the FTP client to send a keepAlive. 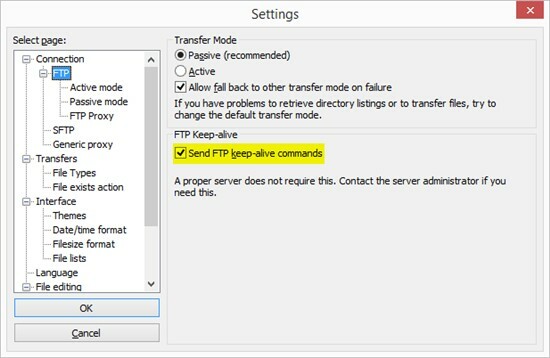 As an example of how you can set this in FTP client software, in FileZilla, you go to Edit, Settings, Connection, FTP, and check Send FTP keep-alive commands. Utilize the following procedure to configure a Windows Azure Virtual Machine (VM) instance for use as a File Server. Create the File Server VM instance (e.g. “MyFileServer.cloudapp.net”) using the Windows Azure portal. See reference instructions here. Attach and format a blob-storage hosted data-disk to the VM. Once the File Server instance is running, configure a limited privilege user-account (e.g. “MyUser”). Note that this service account is a primary security mechanism for the server instance. Any other VM within the data-center could access your server or cause denial of service. More advanced server security configuration is beyond the scope of this article. Using the Server Manager Console, enable the File Server Role. Create a File Share folder (e.g. “MyShare”) on the attached data-disk and enable read/write access for the MyUser account. Add two endpoints to the VM for both TCP port 445 and UDP port 445. This enables the server (at the service deployment level) to communicate SMB protocol with worker-roles hosted in the same Windows Azure data-center. The SMB protocol is not currently routed externally from the data-center. Your File Server configuration should appear as follows from the management portal. With corresponding service end-points configured as illustrated. And the file share configuration similar to the following image. To smoothly migrate the DFS root, you may consider using File Server Migration Toolkit v1.1 to migrate the DFS namespace from the old Windows Server 2003 to the new Windows Server 2008. By using File Server Migration Toolkit, we can copy shared folders, files, and their security settings from a source file server to a target file server without losing their share and NTFS security settings. It is very easy to use FSMT, which can save you lots of time and effort. For more detailed information about FSMT, you may refer to the following documents. brief look at Azure Files. Here is the summary provided by Microsoft. Windows Azure Files allows VMs in a Windows Azure Data Center to mount a shared file system using the SMB protocol. These VMs will then be able to access the file system using standard Windows file APIs (CreateFile, ReadFile, WriteFile, etc). Many VMs (or PaaS roles) can attach to these file systems concurrently, allowing you to share persistent data easily between various roles and instances. In addition to accessing your files through the Windows file APIs, you can access your data using the file REST API, which is similar to the familiar blob interface. At the time of writing, the Azure Files service is in preview and therefore must be activated for your account. You can do this by going to the the preview page and clicking “Try it”. During the activation, you are asked which subscription you wish to apply it to. Then it is a waiting game. The activation took 21 days! This process is obviously subject to change when the service moves out of beta. In my case, I want to create a shared disk that is accessible from two VMs. Once Azure Files is activated on your account any new Storage account you create will have it enabled automatically. At the time of writing, I am not aware of a way to retroactively enable Azure Files on an existing storage account. You can create the new Storage Account through the portal or through the APIs (http://msdn.microsoft.com/library/azure/ee460790.aspx). When you create the account, you can check that Azure Files is enabled by logging into the portal and looking at the dashboard of the storage account. Here you should see the Files endpoint enabled. Currently, you can only create the share through the PowerShell Cmdlets or through the API. I decided to use PowerShell. Start by downloading the CmdLets from here. Important: Make sure you right click the downloaded archive and unblock it from the properties before you extract it. <account key> – This can be found in the portal under Manage Access Keys. <share name> – Replace this with the name of the share you wish to use. That’s it – you now have a cloud accessible file share. The next step is to access that share from remote locations. To do this, I created an Azure Virtual Machine, but I could have easily used my own computer. Again, make sure you replace the placeholders with the appropriate values from above. This command is the standard command for mapping a network drive. Only this time, the drive is in Azure. Do this on all the machines you wish to have access. You can now access this drive just like any other network drive from This PC in Windows. Obviously, the next step is to test performance. The test is obviously restricted by the bandwidth on the machine, so I decided to use the Azure VM I created earlier. As we all know, Azure datacenters have more bandwidth than god, but I must admit, the results below were quite surprising. The transfer peaked at 60 MB/Sec write and 67 MB/sec read. That is pretty impressive! I decided to watch the network traffic whilst this was happening and took a snapshot. As you can see, at the point in time the screenshot was taken, there was 557Mbps being received via the network adapter. Seriously fast! Note: The limiting factor of any speed test you do yourself, will be your internet connection. The above was so fast because it was performed on an Azure VM. Azure Files is a fantastic addition to the Azure family and is a feature that I can certainly think of some uses for. The Auto-Complete List is a feature which displays suggestions for names and email addresses as you start to type them. These suggestions are possible matches from a list of names and email addresses from the email messages that you have sent. Click Start, and then enter %LOCALAPPDATA%MicrosoftOutlook in the Search program and files or Start Search box. You can also copy and paste the location into Windows Explorer address bar. Right-click the RoamCache folder, click Rename, and change the folder name to old_RoamCache. Names or email addresses that are entered in the To, Cc, or Bcc boxes should be remembered after each message is sent. Those names and addresses are available as a suggestion the next time that you compose a message. The original caller will be placed on hold while the second number is called. Once you are connected to the second party, tap the “Merge Calls” button. This will add the new party to the initial phone conversation. Repeat the above steps to add additional parties to the conference call. If you’re already on a call and another party calls you, tap the “Hold and Answer” button that will pop up on the screen and then tap the “Merge Calls” button to add the new caller to the conference call. Here I am explaining the how loopback process configuration in Group Policy? if you have folder redirection policy enabled for all the users, this policy does not want to sync in certain computers in domain. 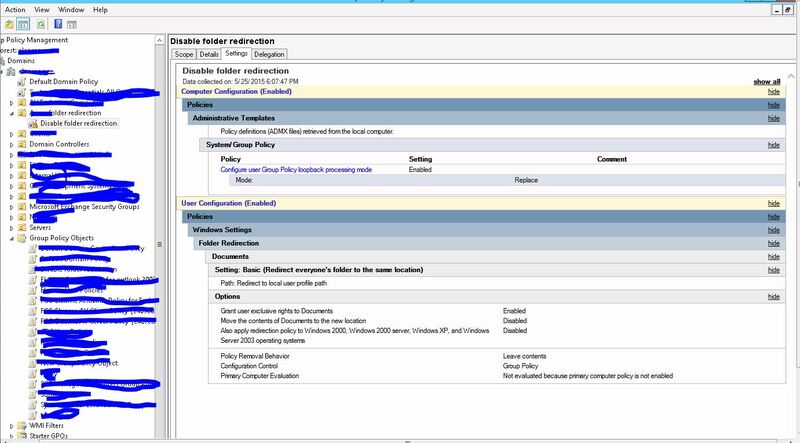 you can use the below configuration for enable this policy. For doing this we have to login to the Domain controller group policy management system In computer configuration Under Administrative Templates/System/Group Policy/Enable the Configure user Group Policy loopback processing mode. In settings- grant user exclusive rights to Documents and policy removal- Leave the folder in the new location when policy removed. One of the benefits of groups is that users self-organize and self-manage. But occasionally the global administrator needs to view, create, and delete groups, and add or remove group administrators or members. The group dashboard in the Office 365 admin center is the place to do this, and as the global administrator, you don’t have to be a group member. A group administrator can also disable group creation by using Windows PowerShell to update the mailbox policy and remove the ability to create groups. Because OWA policies are per user, you can even limit the ability to create groups for some users and not others. If you want to install it on existing Dir Sync server. first you uninstall this application and install it. Uninstall DirSync in Control Panel. Find DirSync and then right click on it > click Uninstall to uninstall the program. Close DirSync and its associated program. The objective of this section is to list the requirements that need to be fulfilled to install Azure AD Sync in your environment. Azure AD Sync enables you to integrate your on-premises Active Directory Domain Service with your Azure AD directory. As a consequence of this, you need access to your on-premises Active Directory Domain Service as well as access to a valid Azure subscription that has an Azure AD directory installed. To install Azure AD Sync, you need a computer running the Windows Server operating system. Your computer can be stand-alone, a member server or a domain controller. You need an account with local administrator privileges on your computer to install Azure AD Sync. Azure AD Sync requires a SQL Server database to store identity data. By default a SQL Express LocalDB (a light version of SQL Server Express) is installed and the service account for the service is created on the local machine. SQL Server Express has a 10GB size limit that enables you to manage approximately 100.000 objects. If you need to manager a higher volume of directory objects, you need to point the installation process to a different version of SQL Server. AAD Sync supports all flavors of Microsoft SQL Server from SQL Server 2008 to SQL Server 2014. The following sections provide the related steps. When you configure Azure AD Sync, you need to provide the credentials of an account that is used by Azure AD Sync to connect to your AD DS. You can use a regular user account because the account only needs the default read permissions. The following sections provide more details about the permissions required by the AD DS account and the attributes it needs access to. Both permissions are required to enable the account to read password hashes from your on-premises AD DS. Office 365 Exchange Hybrid AAD Sync write-back attributes and permissions. If you want to enable rich co-existence between your on-premises Exchange infrastructure and Office 365 (Exchange Hybrid), you can do this by selecting the Exchange hybrid deployment optional feature. When selecting this feature, you enable AAD Sync to write-back attributes to your on-premises environment. The account you configure in the Connect to Active Directory Domain Services dialog page needs to have specific permissions to the attributes above. The following table lists the minimum set of permissions that are required for this account using DSACLS nomenclature. Password write-back and change password permissions. The password write-back feature provides your users with a convenient method to reset their on-premises passwords in the cloud. During the configuration of Azure AD Sync, you can activate password write-back as optional feature. For each forest you have configured in Azure AD Sync, the account you have specified for a forest in the wizard must be given the “Reset-Password” and “Change Password” extended rights on the root object of each domain in the forest. The right should be marked as inherited by all user objects. Use the following procedure to setup permissions on each of the accounts you have configured. At the top, under View make sure that Advanced Features are turned on. On the left, right-click the root domain and select Properties. Select the Security tab and click Advanced. Click Select a Principal and select the account that was specified during setup. In the drop-down, select Descendant User objects. In the Permissions section select Reset Password and Change Password. Click Ok. Click Apply. Click Ok. When you configure Azure AD Sync, you need to provide the credentials of an account that is used by Azure AD Sync to connect to your Azure AD. You should create a separate account that is only used by Azure AD Sync. You should configure the account with a strong password that is 16 characters long. You should set the “Password never expires” flag on the account. Your account must have Global Administrator as Organizational Role selected. To start the installation process, launch the executable called MicrosoftAzureADConnectionTool.exe. This self-extracting executable puts all required files on the local drive and starts the installation process. If you cancel the installation procedure, a shortcut is being created in the start menu and on the desktop. If you need to use SQL Server or a domain account for the service account you need to cancel the wizard now. Up to this point, the installation process has already created a local folder that includes Azure AD Sync related files. You need the content of this folder to rerun the installation process with parameters. Open a command prompt, and then go to C:Program FilesMicrosoft Azure AD Connection Tool. If you want to use the default SQL partition, then don’t specify this parameter. At this point, you are ready to complete the dialog pages that are associated with the installation process. As a first step of the installation process, you need to agree to the license terms and conditions and you need to specify the location of the Azure AD Sync. To connect to your Azure AD directory, the Azure AD Sync tool needs the credentials of an account with sufficient permissions. For more details, see Create an account to connect to Azure AD. To connect to your Active Directory Domain Service, the Azure AD Sync tool needs the credentials of an account with sufficient permissions.For more details, see Create an AD account to connect to AD DS. The Matching across forests feature allows you to define how users from your ADDS forests are represented in Azure AD. A user might either be represented only once across all forests or have a combination of enabled and disabled accounts. My users are only represented once across all forests All users are created as individual objects in Azure AD. The objects are not joined in the metaverse. Mail attribute This option joins users and contacts if the mail attribute has the same value in different forests. It is recommended to use this option when your contacts have been created using GALSync. ObjectSID and msExchangeMasterAccountSID This option joins an enabled user in an account forest with a disabled user in an Exchange resource forest. This is also known as linked mailbox in Exchange. sAMAccountName and MailNickName This option joins on attributes where it is expected the login ID for the user can be found. My own attribute This option allows you to select your own attribute. Limitation in CTP: Make sure to pick an attribute which will already exist in the metaverse. If you pick a custom attribute the wizard will not be able to complete. You can use this option to specify the attribute you want to use for identity federation. The sourceAnchor attribute is an attribute which is not changing during the lifetime of a user object. In single-forest and environments and where the account is never moved between forests, then objectGUID is a good candidate. If the user is moved between forests or domains, then an alternative attribute must be selected. The userPrincipalName attribute is the user’s login ID in Azure AD. By default the userPrincipalName attribute in ADDS is used. If this attribute is not routable or not suitable as the login ID a different attribute, such as mail, can be selected in the installation guide. If you have an Exchange hybrid deployment, then select this checkbox. This will write-back some attributes from Exchange online to the on-premises Active Directory.Password write-back is an Azure Active Directory Premium feature. For more information on how to configure this, please see http://blogs.technet.com/b/ad/archive/2014/04/29/deep-dive-password-reset-with-on-premise-sync-in-azure-ad-premium.aspx. If you want to review or limit the attributes which are synchronized with Azure AD, then select Azure AD app and attribute filtering. You will then get two additional pages in the wizard. If you want to limit which attributes to synchronize to Azure AD, then start by selecting which services you are using, If you configure this page, any new service has to be selected explicitly by re-running the installation guide. Based on the services selected in the previous step, this page will show all attributes which will be synchronized. This list is a combination of all object types being synchronized. If there are some particular attributes you need to not synchronize, you can unselect those. In the picture above the extensionAttributes and homePhone has been unselected and will not synchronize to Azure AD. This page provides you with summary of your configuration. You should carefully review this summary before you proceed with the next page.If this step fails with an “Unable to communicate with the Windows Azure Active Directory service” error and you have a proxy server configured, you should add proxy settings to the “machine.config” file of your Azure AD Sync computer. For more details, see <proxy> Element (Network Settings). A default configuration has now been created and if you are ready to start synchronizing, then click Finish. If you need to make some additional configuration before you start synchronization, then unselect the Synchronize now checkbox before you click Finish. This will create a disabled task in task scheduler. When you are done with your configuration, start the periodic synchronization by enabling this task. After completing uncheck the synchronize now option. We’ve a utility called DirectorySyncClientCmd.exe which executes the sequence of actions to synchronize on prem identities with office 365. It’s recommended that you perform a full synchronization after making a major change in your Azure AD Sync configuration like enabling password synchronization for user. To perform the delta synchronization with Office 365, we need the same executable to perform delta synchronization of users from on prem to office 365. By default Azure AD Sync tool performs delta sync after every 3 hours. Later in this article we’ll learn on how we can change the default sync time of the tool. Another event ID- 31002, this is for the password reset success. Login to Azure AD Portal you should have Enterprise mobility suite for enabling the Password reset option. Free – With the Free edition of Azure Active Directory, you can manage user accounts, synchronize with on-premises directories, get single sign on across Azure, Office 365, and thousands of popular SaaS applications like Salesforce, Workday, Concur, DocuSign, Google Apps, Box, ServiceNow, Dropbox, and more. Basic – Azure Active Directory Basic edition provides application access and self-service identity management requirements for task workers with cloud-first needs. With the Basic edition of Azure Active Directory, you get all the capabilities that Azure Active Directory Free has to offer, plus group-based access management, self-service password reset for cloud applications, Azure Active Directory application proxy (to publish on-premises web applications using Azure Active Directory), customizable environment for launching enterprise and consumer cloud applications, and an enterprise-level SLA of 99.9 percent uptime.An administrator with Azure Active Directory Basic edition can also activate an Azure Active Directory Premium trial. Premium – With the Premium edition of Azure Active Directory, you get all of the capabilities that he Azure Active Directory Free and Basic editions have to offer, plus additional feature-rich enterprise-level identity management capabilities explained below. Company branding – To make the end user experience even better, you can add your company logo and color schemes to your organization’s Sign In and Access Panel pages. Once you’ve added your logo, you also have the option to add localized versions of the logo for different languages and locales.For more information, see Add company branding to your Sign In and Access Panel pages. Group-based application access – Use groups to provision users and assign user access in bulk to thousands of SaaS applications. These groups can either be created solely in the cloud or you can leverage existing groups that have been synced in from your on-premises Active Directory.For more information, see Assign access for a group to a SaaS application in Azure AD. Self-service password reset – Azure has always allowed directory administrators to reset passwords. With Azure Active Directory Basic, you can now reduce helpdesk calls when your users forget a password by giving all users in your directory the capability to reset their password, using the same sign in experience they have for Office 365.For more information, see Password Management in Azure AD. Enterprise SLA of 99.9% – We guarantee at least 99.9% availability of the Azure Active Directory Basic service. Azure Active Directory Application Proxy – Give your employees secure access to on-premises applications like SharePoint and Exchange/OWA from the cloud using Azure Active Directory. Self-service group management – Azure Active Directory Premium simplifies day-to-day administration of groups by enabling users to create groups, request access to other groups, delegate group ownership so others can approve requests and maintain their group’s memberships.For more information, see Self-service group management for users in Azure AD. Advanced security reports and alerts – Monitor and protect access to your cloud applications by viewing detailed logs showing more advanced anomalies and inconsistent access pattern reports. Advanced reports are machine learning-based and can help you gain new insights to improve access security and respond to potential threats.For more information, see View your access and usage reports. Multi-Factor Authentication – Multi-Factor Authentication is now included with Premium and can help you to secure access to on-premises applications (VPN, RADIUS, etc. ), Azure, Microsoft Online Services like Office 365 and Dynamics CRM Online, and thousands of Non-MS Cloud services preintegrated with Azure Active Directory. Simply enable Multi-Factor Authentication for Azure Active Directory identities, and users will be prompted to set up additional verification the next time they sign in.For more information, see Adding Multi-Factor Authentication to Azure Active Directory. Microsoft Identity Manager (MIM) – Premium comes with the option to grant rights to use a MIM server (and CALs) in your on-premises network to support any combination of Hybrid Identity solutions. This is a great option if you have a variation of on-premises directories and databases that you want to sync directly to Azure Active Directory. There is no limit on the number of FIM servers you can use, however, MIM CALs are granted based on the allocation of an Azure Active Directory premium user license.For more information, see Deploy MIM 2010 R2. Enterprise SLA of 99.9% – We guarantee at least 99.9% availability of the Azure Active Directory Premium service.For more information, see Active Directory Premium SLA. Password reset with write-back – self-service password reset can be written back to on-premises directories. 1 The 500k object limit does not apply for Office 365, Windows Intune or any other Microsoft online service that relies on Azure Active Directory for directory services. Azure Active Directory Connect Health: monitor the health of your on premises Active Directory infrastructure and get usage analytics. Open a browser of your choice and go to the Azure Management Portal. In the Azure Management Portal, find the Active Directory extension on the navigation bar on the left hand side. Under the Directory tab, click the directory in which you want to configure the user password reset policy, for example, Wingtip Toys. Under the Configure tab, scroll down to the user password reset policy section. This is where you configure every aspect of user password reset policy for a given directory. This policy applies only to end users in your organization, not administrators. For security reasons, Microsoft controls the password reset policy for administrators. If you do not see this section, make sure that you have signed up for the Azure Active Directory Premium and Basic and assigned a license to the administrator account that is configuring this feature. To configure the user password reset policy, slide the users enabled for password reset toggle to the yes setting. This reveals several more controls which enable you to configure how this feature works in your directory. Feel free to customize password reset as you see fit. If you’d like to learn more about what each of the password reset policy controls does, please see Self-service password reset in Azure AD: how to customize password reset to meet your needs. After configuring user password reset policy as desired for your tenant, click the Save button at the bottom of the screen. A two challenge user password reset policy is recommended so that you can see how the functionality works in the most complex case. You have several options on how to specify data for users in your organization to be used for password reset. 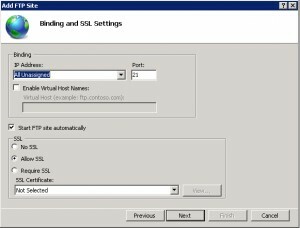 Require users to register for password reset when they sign in to the Access Panel at http://myapps.microsoft.com by setting the Require users to register SSPR configuration option to Yes. The following table outlines where and how this data is used during password reset and is designed to help you decide which of the above methods you want to use. This table also shows any formatting requirements for cases where you are providing data on behalf of users from input paths that do not validate this data. Here, users can provide and verify their mobile phone or alternate email address. This is what verifying a mobile phone looks like. After a user specifies this information, the page will update to indicate that the information is valid (it has been obfuscated below). By clicking the finish or cancel buttons, the user will be brought to the Access Panel. Once a user verifies both of these pieces of information, his or her profile will be updated with the data he or she provided. In this example, the Office Phone number has been specified manually, so the user can also use that as a contact method for resetting his or her password. Now that you’ve configured a user reset policy and specified contact details for your user, this user can perform a self-service password reset. If you go to a site like portal.microsoftonline.com, you’ll see a login screen like the below. Click the “can’t access your account” link to test the password reset UI. After clicking “can’t access your account”, you are brought to a new page which will ask for a user ID for which you wish to reset a password. Enter your test user ID here, pass the captcha, and click “next”. Since the user has specified an office phone, mobile phone, and alternate email in this case, you see that he has been given all of those as options to pass the first challenge. In this case, choose to call the office phone first. Note that when selecting a phone-based method, users will be asked to verify their phone number before they can reset their passwords. This is to prevent malicious individuals from spamming phone numbers of users in your organization. Once the user confirms their phone number, clicking call wall cause a spinner to appear and his or her phone to ring. A message will play once he or she picks up your phone indicating that the user should press “#” to verify his or her account. Pressing this key will automatically verify that the user possesses the first challenge and advance the UI to the second verification step. Once you’ve passed the first challenge, the UI is automatically updated to remove it from the list of choices the user has. In this case, because you used your Office Phone first, only Mobile Phone and Alternate Email remain as valid options to use as the challenge for the second verification step. Click on the Email my alternate email option. After you have done that, pressing email will email the alternate email on file. Once the email arrives, the page will update, and you’ll be able to enter the verification found in the email in the input box shown below. After a proper code is entered, the next button lights up, and you are able to pass through the second verification step. Once you’ve met the requirements of the organizational policy, you are allowed to choose a new password. The password is validated based it meets AAD “strong” password requirements (Password policy in Azure AD), and a strength validator appears to indicate to the user whether the password entered meets that policy. Whereas you could previously only enable a user for Single Sign-On OR you could sync their password, we have now completed updates to the service so that you can be synchronizing passwords for your Federated Users, and if your on-premises Single Sign-On infrastructure becomes unavailable, you can switch to let users sign in with their synchronized passwords while you’re resolving those infrastructure problems! Best of all, there is no need to update your DirSync if you’re already running Password Sync! Guidance for planning your ADFS infrastructure may be found here . If you are using a 3rd party STS, please refer to that product’s respective documentation for guidance of appropriate scaled and redundant deployment topologies. You’ve decided that Password Sync is sufficient to meet your business scenario requirements and want to switch to use Password Sync exclusively. Changing a user’s authentication details can be a disruptive activity. As such, you should plan carefully and schedule the migration at a time that is least disruptive to the end-user(s) that are being affected. Additionally it can take up to 2 hours for the domain conversation from federated to standard authentication to be updated in the various systems. With this latest update, you may elect to deploy Password Sync to provide a backup solution for your Single Sign-On infrastructure. To accomplish this task, simply deploy the Directory Sync tool and enable the Password Sync option when prompted in the Configuration Wizard (if you haven’t already). More information on the Implementing Password Sync can be found here . If you are already running Password Sync, you don’t need to upgrade your DirSync tool to light up this feature! Just make sure you run a full password sync now so that all of your users’ passwords are synchronized to the cloud. You can trigger a full Password Sync to re-synchronize all DirSync’ing user passwords via the Set-FullPasswordSync cmdlet. Documentation on how to use this password may be found here. If your Single Sign-On infrastructure becomes unavailable, you can now “switch” to using the synchronized password hashes for user sign-in while you resolve your infrastructure incident on a per-domain basis. Please refer to the “Entire Namespace Conversion” section below on how to do this. Be sure to set -SkipUserConversion $true when calling the Convert-MsolDomainToStandard commandlet. It is recommended that you do not change UserPrincipalNames or ImmutableIds after converting your domain to managed state (via the Convert-MsolDomainToStandard commandlet) for users that have been switched to use sync’d passwords. In the case where such changes have been made, administrators will notice that these changes do not show up in the cloud – this is by design. The Azure Active Directory Powershell Module and documentation on the commandlet set can be found here . If you are temporariliy switching to use synchronized passwords while you are repairing your SSO infrastructure, set –SkipUserConversion to be $true. At this point, if you have not previously run a full Password Sync, (or you first deployed Password Sync before May 1, 2014), you should trigger a full Password Sync to re-synchronize all DirSync’ing user passwords via the Set-FullPasswordSync cmdlet. Documentation on how to use this password may be found here. By deploying password sync in your environment, you enable your users to use the same password they are using to logon to your on-premises Active Directory to logon to Azure Active Directory. The objective of this topic is to provide you with the information you need to understand the password sync feature and how to enable it in your environment. Password Sync is a feature of the Azure Active Directory Sync tool that synchronizes user passwords from your on-premises Active Directory to Azure Active Directory (“Azure AD”). This feature enables your users to log into their Azure Active Directory services (such as Office 365, InTune, CRM Online, etc.) using the same password as they use to log into your on-premises network. It is important to note that this feature does not provide a Single Sign-On (SSO) solution because there is no token sharing / exchange in the Password Sync based process. 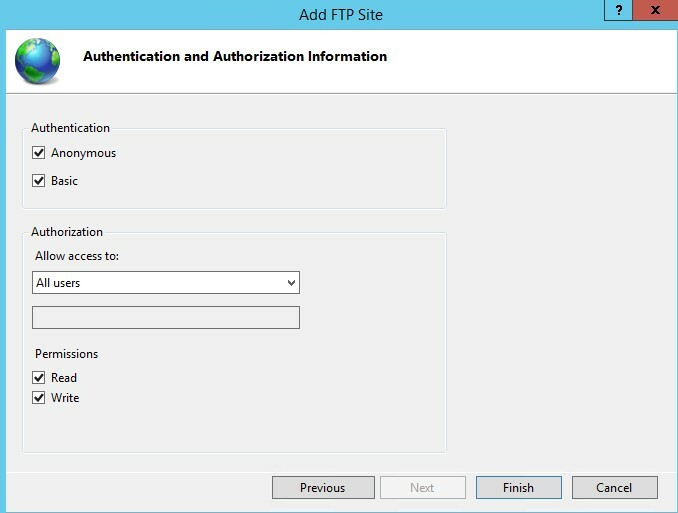 Active Directory Domain Services that are configured for FIPS are not compatible with the Password Sync feature. 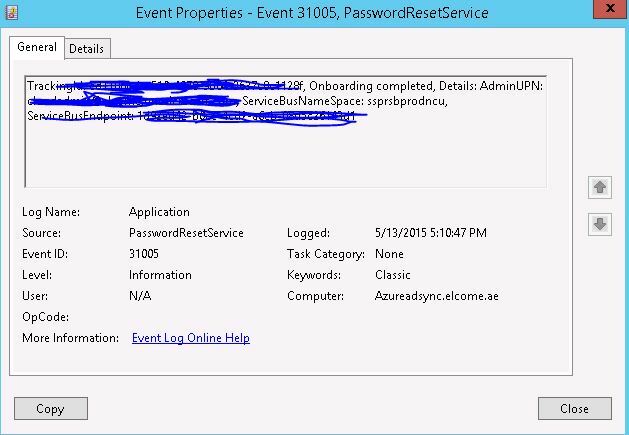 Any customer of Azure Active Directory is eligible to run Password Sync. See below for information on the compatibility of Password Sync and other features such as Federated Authentication. You must be running version 6382.0000 or greater of the Directory Sync tool in order to enable the Password Sync feature (version is available on the .exe installer download). The latest version of the Directory Sync tool can be downloaded from the Admin Portal. Password Sync is an extension to the directory synchronization feature implemented by the Directory Sync tool. As a consequence of this, this feature requires directory synchronization between your on-premises and your Azure Active Directory to be configured. The Active Directory Domain Service stores passwords in form of a hash value representation of the actual user password. The Password hash cannot be used to login to your on-premises network. It is also designed so that it cannot be reversed in order to gain access to the user’s plaintext password. To synchronize a password, the Directory Sync tool extracts the user password hash from the on-premises Active Directory. Additional security processing is applied to the password hash before it is synchronized to the Azure Active Directory Authentication service. The actual data flow of the password synchronization process is similar to the synchronization of user data such as DisplayName or Email Addresses. Passwords are synchronized more frequently than the standard Directory Sync window for other attributes. The Password Sync feature checks every two minutes whether passwords need to be synchronized. Passwords are synchronized on a per-user basis and are generally synchronized in chronological order. When a user’s password is synchronized from the on-premises AD to the cloud, the existing cloud password will be overwritten. When you first enable the Password Sync feature in your DirSync tool, it will perform an initial synchronization of the passwords of all in-scope users from your on-premises Active Directory to Azure Active Directory. You cannot explicitly define the set of users that will have their passwords synchronized to the cloud. Subsequently, when an on-premises user changes their password, the Password Sync feature will detect and synchronize the changed password, most often in a matter of minutes. The Password Sync feature will automatically retry failed user password syncs. If an error occurs during an attempt to synchronize a password the error is logged in your event viewer. The synchronization of a password has no impact on currently logged on users. If a user that is logged into a cloud service also changes their on-premise password, the cloud service session will continue uninterrupted. However, as soon as the cloud service attempts requires the user to re-authenticate, the new password needs to be provided. At this point, the user is required to provide the new password – the password that has been recently synchronized from the on-premise Active Directory to the cloud. Additionally, there is no requirement on the on-premises Active Directory to store the password in a reversibly encrypted format. A digest of the Windows Active Directory password hash is used for the transmission between the on-premises AD and Azure Active Directory. The digest of the password hash cannot be used to access resources in the customer’s on-premises environment. If a user is in the scope of the password sync feature, the cloud account password is set to “Never Expire”. This means that it is possible for a user’s password to expire in the on-premises environment, but they can continue to log into cloud services using this expired password. The cloud password will be updated the next time the user changes the password in the on-premises environment. If an initially managed user with a password that has been synchronized to the cloud is converted to a federated user and then converted back to a managed user, the password that was initially synchronized is lost. If an initially federated user that has updated a password on-premises is converted to a managed user, the password will not be synchronized to the cloud. As a consequence of this, the user will not be able to use the password that has been set in the on-premises environment to log into cloud services. An administrator can manually reset a user’s password using the Azure Active Directory PowerShell. In this case, the new password will override the user’s synchronized password and all password policies defined in the cloud will apply to the new password. If the user changes the on-premises password again, the new password will be synchronized to the cloud, and will override the manually updated password. Your Azure Active Directory tenant must be enabled for Directory Synchronization before the tenant can be enabled for Password Synchronization. You enable Password Sync when running the Directory Sync tool Configuration Wizard. When prompted by the Wizard, select the “Enable Password Synchronization” checkbox. This process will trigger a full synchronization. Full synchronization cycles generally take longer than other sync cycles to complete. You can monitor the progress of Password Sync through the event log of the machine that is running the Directory Sync tool. In the events, the affected objects are identified by their anchor and the DN value. The anchor value corresponds to the ImmutableId value that is returned for a user by the Get-MsoUser cmdlet. Event ID 657 has a Result field in addition to the source object identifiers to indicate the status of synchronization for that user object. You disable Password Sync by re-running the Directory Sync tool Configuration Wizard. When prompted by the Wizard, de-select the “Enable Password Synchronization” checkbox. After running the Configuration Wizard, your tenant will no longer be synchronizing passwords. New password changes will not synchronize to the cloud. Users that previously had their passwords synchronized will be able to continue logging in with those passwords until they manually change their passwords in the cloud.